Hello! It's Maureen here with a new feature for WPlus9 Design Blog. The third Thursday of each month I will be sharing a set of cards made using the same supplies, the same basic design elements and a "throwback" WPlus9 stamp set. Throwback you ask? I'm bringing back some of the older sets and showing new ways you can use them and/or how you can incorporate them into projects using new products as well. This month my throwback set is Borders & Backgrounds 2. This is my all time favorite background set, the images are classic, timeless and gender neutral. It's one that I turn to time and time again. I'm using Borders and Backgrounds 2 with the Pretty Peonies stamp set, the Pretty Peonies Dies as well as Hand Lettered Thanks. My first card is a classic clean and simple design. I've offset the stark black and white with a pop of color on my flower. Rather than stamping the images, I heat embossed the outline with white embossing powder and then sponged over them with Wild Mango and Flamingo inks on the flower and Mojito and Appletini on the leaves. Borders & Backgrounds 2 was stamped at the bottom of this one layer card which grounds the flower and sentiment nicely. My next card uses the same basic design elements but I've flipped the orientation of the card and added some more layers. This time I've stamped the images with Distress Inks and brushed over them with water and a paint brush. This technique gives such a pretty watercolored look without a lot of work. Here I've stepped up the design even more by adding another layer and stamping Borders & Backgrounds 2 over the entire background. This time I've simply stamped the flowers in Wild Mango and Flamingo inks, rather than doing a technique with them. 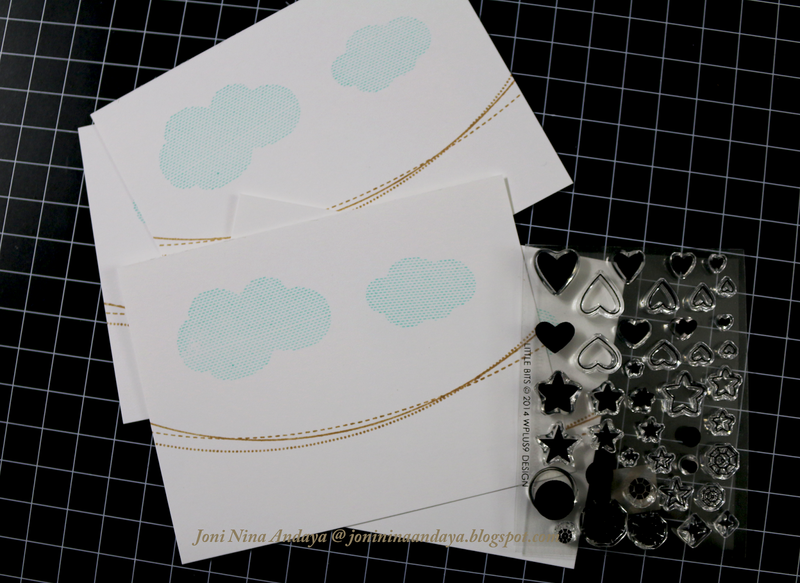 As you can see, the same basic design elements as well as the embellishments were carried through from the simple one layer card all the way to the stepped up version of the design. It's fun to use the same supplies and design elements and see how many different ways you can use them. Make two of each card and you have a beautiful handmade card set, perfect for gift giving. Thanks so much for stopping in. See you next month for another Throwback Thursday! Hello everyone! I am back with inspiration using some older Wplus9 stamp sets. 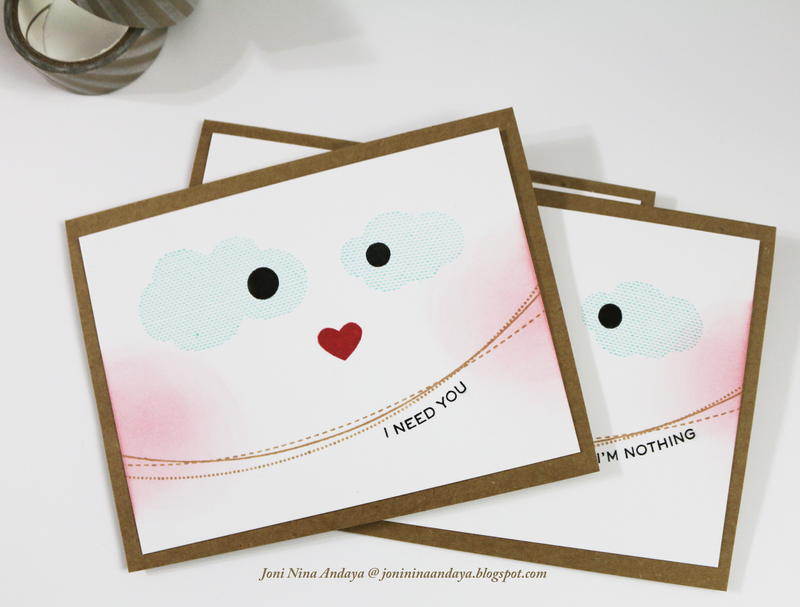 In honor of the month of hearts, I created this fun face cards for kids. They are easy to make and our kids can join with the fun creating these fun cards for their friends and classmates. To start, I cut the card panel just a little bit smaller than an A2 card, then started stamping the fun face for the card. For the eyes I used the clouds from the Heartfelt Mix stamp set and the circles from the Little Bits stamp set. For the lips I used the long set of strings from the Heartfelt Mix stamp set, and the heart nose is from theLittle Bits stamp set. 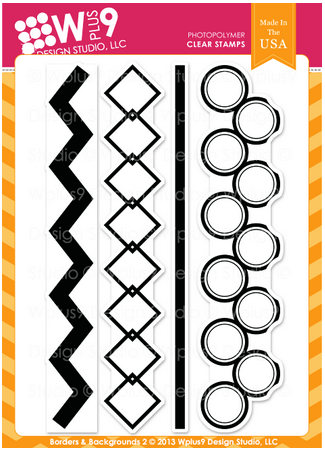 I added a couple of different sentiments using the Milk & Cookies stamp set to make each one a little different. 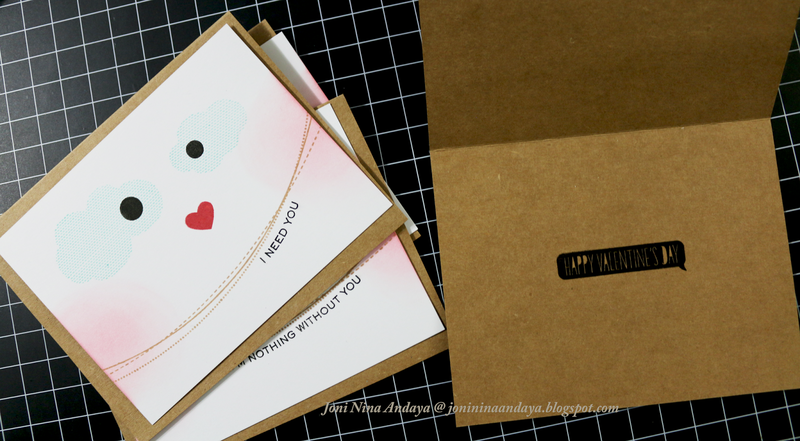 I also added another sentiment inside the card "Happy Valentine's Day" from the Knock Knock Valentine stamp set. To finish off the card I added a little "blush" using a Distress Ink Blending Tool and a little ink.